In Disneyland Anaheim, we have King Arthur's Carrousel. 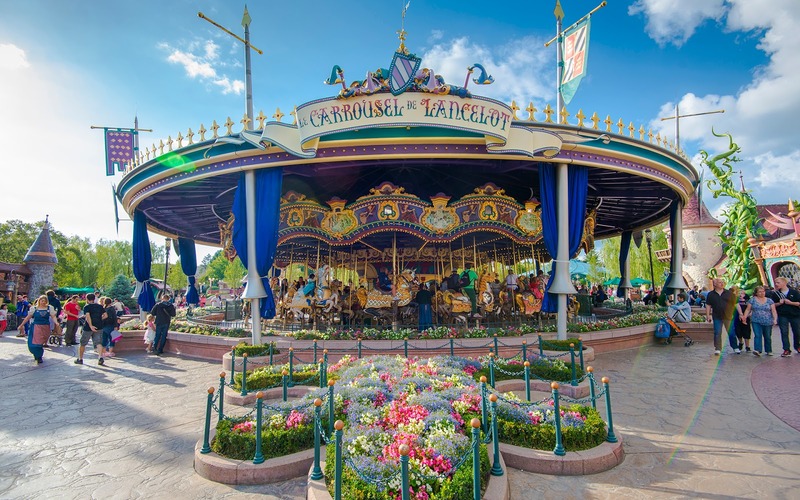 In Disneyland Paris, there is Carrousel de Lancelot. I would assess that this attraction doesn't quite have as regal of a stature as the original Disney park merry-go-round, but this makes sense. After all, Arthur was a king, and the king deserves the grandest monument of all, right? Disneyland Paris' carousel is bright and colorful.